Welcome! Please allow me to introduce you to my team! Kailua holds a special place in my heart. After growing up in Lanikai and graduating from Punahou, I was fortunate to attend one of the nation's premiere dental schools at the University of Washington. Upon completion of dental school I moved to San Diego and worked alongside a faculty member of UCLA's Center for Esthetic Dentistry. As a result I was able to advance my education and skills , and developed my foundation for esthetic dentistry and dental implants. Although I thoroughly enjoyed living in San Diego, I always considered Kailua as home and returned to Hawaii in 2004 with my wife Christine. Through courses at the Las Vegas Institute for Advanced Dental Studies, I have refined my abilities in cosmetics and currently use some of the finest laboratories in the world. In addition I pursued my education in orthodontics and offer orthodontic treatment as an associate member of the International Association for Orthodontics. However, the most rewarding aspect of my advanced training has been in the field of temporomandibular joint dysfunction. I have found it greatly rewarding to help relieve the pain and suffering associated with migraines, headaches, chronic head and neck pain, earaches, vertigo, and jaw pain. I welcome every opportunity to improve a patient's health and self-confidence. My commitment to my patients is to provide the highest quality dental care using the latest equipment and materials in a warm caring, and gentle environment. Dr. Anna Truong is a California native who has been fortunate to call Hawaii her new home for the past year. 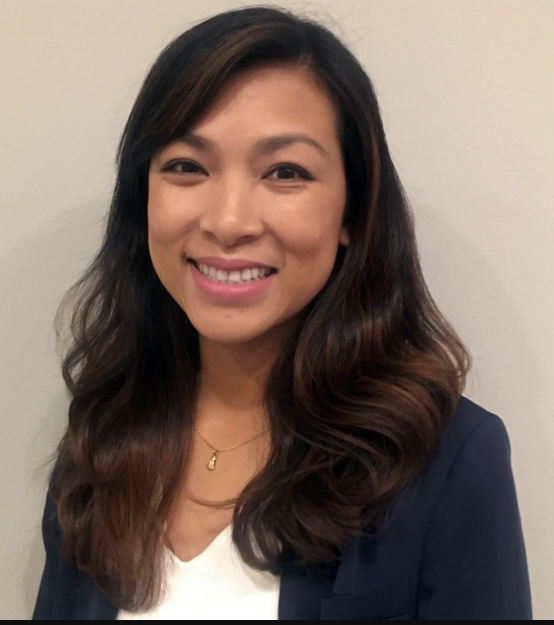 Dr. Truong received her Bachelor’s degree in Molecular and Cell Biology with an emphasis in Neurobiology from the University of California Berkeley. After graduation, she spent a few years with a research team at UCSF studying implant dentistry. With her love for both the art and science, and aspiration to help others while growing up, she went on to pursue dentistry. She graduated from the Arizona School of Dentistry and Oral Health as well as ATSU College of Graduate Health Studies with a dual degree in Doctor of Dental Medicine and Master of Public Health-Dental emphasis. In 2015 and 2016, Dr. Truong traveled and lived in various remote areas throughout the United States from Ladysmith, Wisconsin to Greeley, Colorado, or Bethel, Alaska to Houston, Texas practicing dentistry in various community health clinics. What an adventure it was! Dr. Truong is pleased to offer a wide variety of comprehensive dental treatments including preventive care, restorative treatments, and cosmetic dentistry at Kailua Dental Arts. Dr. Truong’s goal is to provide every patient, both children and adults, with the highest quality of treatment in a compassionate and pleasant environment. 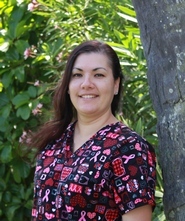 She looks forward to being of service to the Kailua community, and working closely with everyone from all walks of life to create a smile one can be proud of. It's wonderful being able to serve people in my own community. I love reconnecting with old friends and making new ones daily. I moved to Kailua when I was 11 years old, when my Dad was stationed here with the Air Force. After surviving culture shock the first year, (we were from New England and had been stationed in Europe) we grew to love it and my parents decided to retire here. After finishing up at Kailua Elementary, Intermediate and High School, I graduated from the University of Hawaii at Manoa in 1986. I'm celebrating 20 years as a dental hygienist. The advances in dentisty that I've witnessed have kept my career challenging and exciting. I'm blessed to have a career where I can help people, and then enjoy those rewards with them...dental chickens are my specialty! In my spare time, I love going to the beach with my family. My hobbies include reading, sewing, and pretending to be a gourmet chef. I look forward to meeting you and your family. We would love to learn more about your needs and concerns for your dental and overall health. The most rewarding part of being a dental hygenist is having the opportunity to see how improved oral health and a new smile can change a person's life. I received my dental hygiene certificate and license in 1997 and completed my Bachelor of Science in Dental Hygiene in 1998. In 2002, I started teaching in the dental hygiene program at the University of Hawaii at Manoa. In 2006, I received my Master's in Educational Technology. I am very fortunate to be a part of a great team. I love what I do and enjoy it even more because the office provides the highest quality of care and pain free dentistry. My goal is to provide you with the most pleasant dental experience. I strive to partner with you to help achieve optimum oral health. I have two children and I love camping, traveling, shopping , golfing and relaxing. 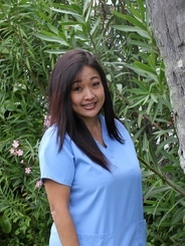 Born and raised in Kailua, I have had the pleasure of working in the dental field for the past 24 years. With my professional experience, I like to help our patients understand their dental needs and help them achieve a healthy and beautiful smile with confidence and ease. My goal is to make every visit with us a comfortable and enjoyable one. I feel very fortunate to be a part of such a progressive office with a compassionate and caring team here at Kailua Dental Arts. I have 3 children and on my spare time I love spending it with my family, cooking, traveling and going to the beach. Born and raised in Hawaii, my husband and I have three beauiful children. I started in the dental field in 2002 and enjoy being part of a warm and friendly team that provides high quality patient care in an enviroment that is modern and up to date. In my spare time, I love baking and spending time with my family and friends. 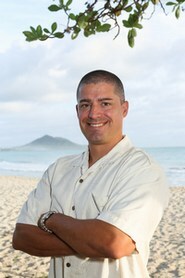 Born and raised in Hawai'i, I have enjoyed being a part of the dental field since 2011. As a dental assistant I strive to make every patient feel at ease by building confidence, trust and a friendship with each patient. I love what I do and I am very fortunate to be a part of such a friendly and professional team that provides exceptional patient care. Here at Kailua Dental Arts we treat our patients like family, we always strive to make sure that your visit here can be the best visit possible. One of the most rewarding parts of my job is seeing the expression on patients faces when their dream smile is achieved. In my spare time I enjoy spending time with my fiancé Josh and our family and friends whether it be going bowling or spending days having fun outdoors and of course spending time my doggy Laka. 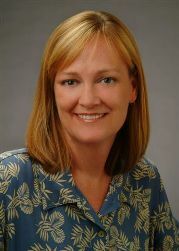 Amber started her dental career in 1993 in the United States Air Force where she served six years on active duty. 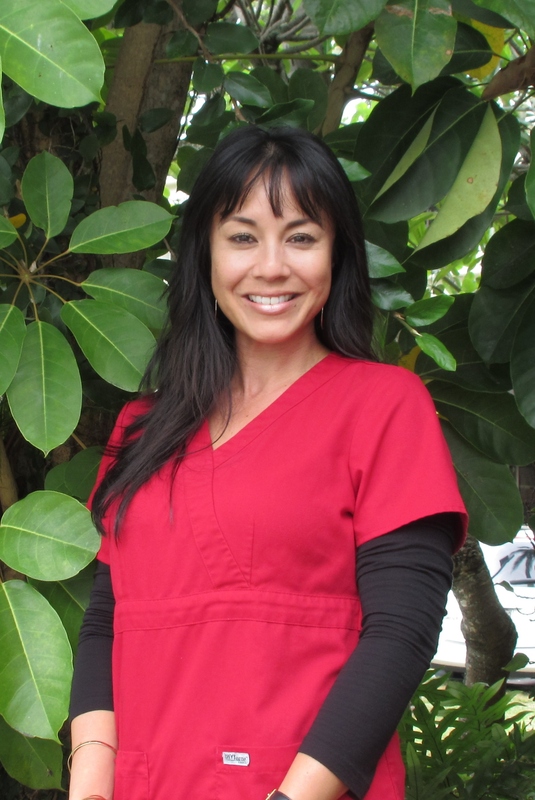 After assisting in the dental field for 12 years, she earned an undergraduate degree from University of Hawaii and moved into dental hygiene, graduating from Santa Fe College, Gainesville, Florida in 2010. If she's not at work you can find her at her second home which is at Crossfit Kailua. In her downtime she enjoys quiet moments with her son Kai and husband Matt.